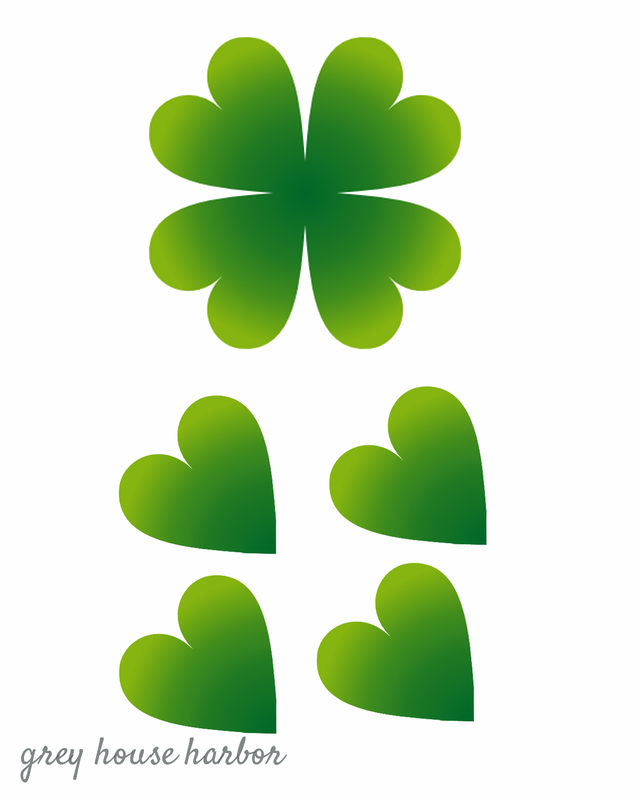 According to Wikipedia, “shamrock” and “four-leaf clover” are not interchangeable terms. 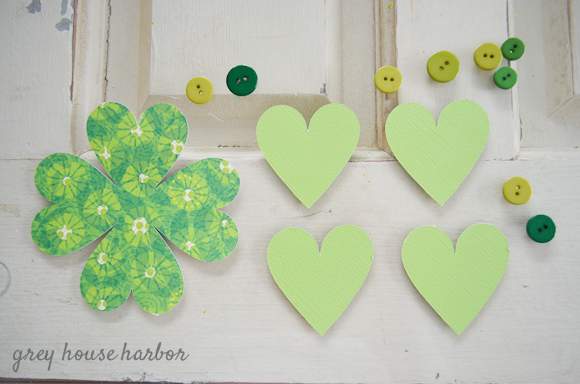 Shamrocks are the three-leaf variety most famous as a symbol of Ireland. 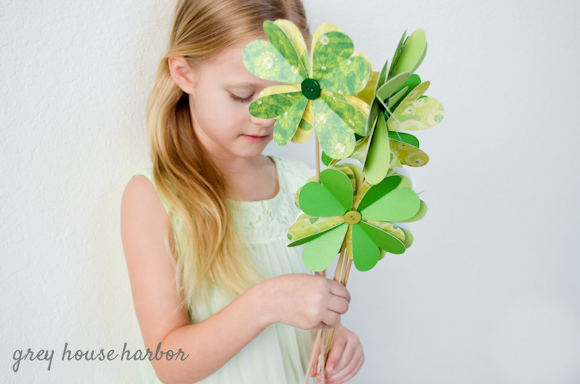 The four-leaf clover, however, has a worldwide reputation for being lucky. 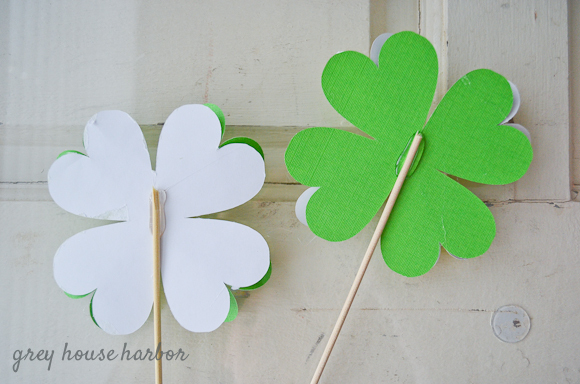 Probably because for every 1 four-leaf clover, there are 10,000 three-leafers. 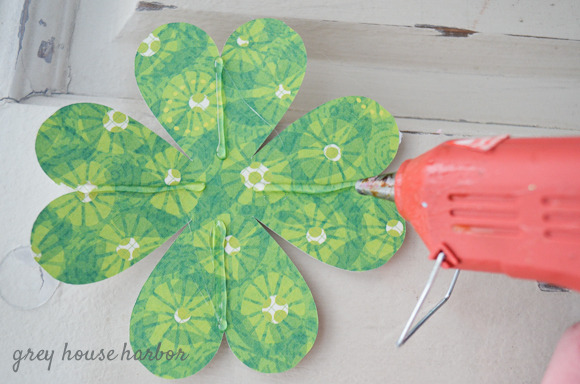 If you don’t have time to go searching through 10,000 clovers, then make your own luck! 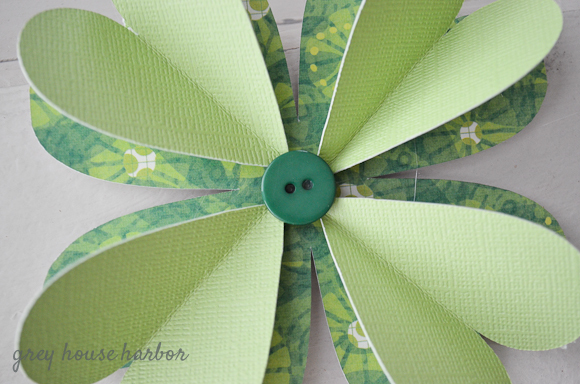 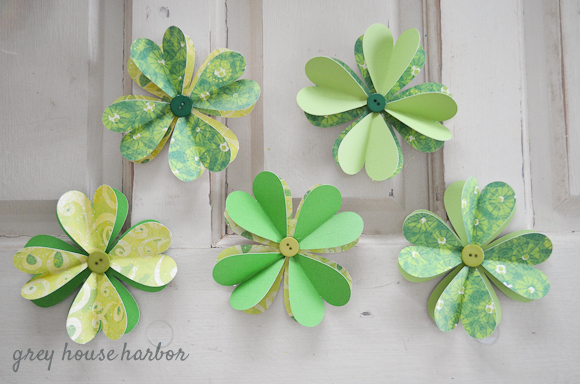 A few sheets of scrapbook paper, scissors, buttons and hot glue are all you need. 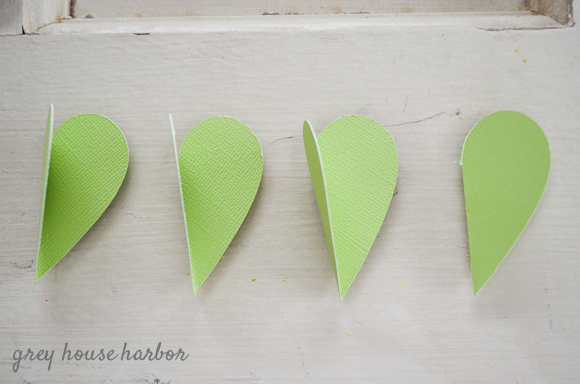 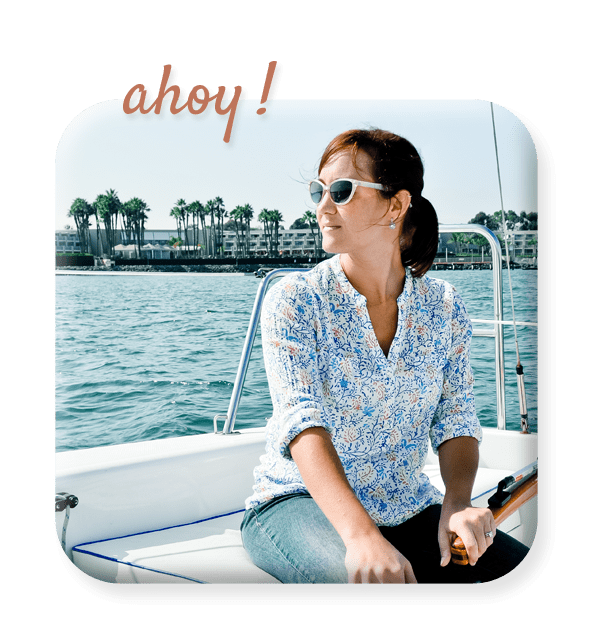 Perfect as gift-toppers, on greeting cards, or part of festive table decor. 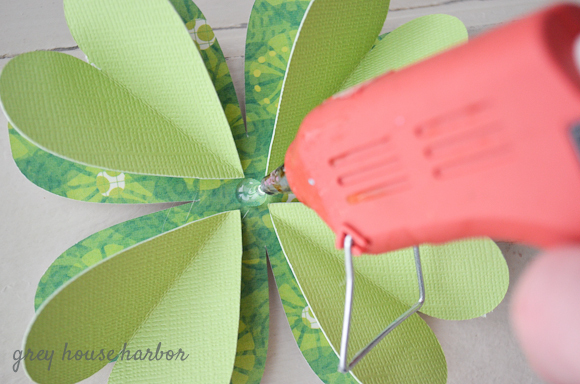 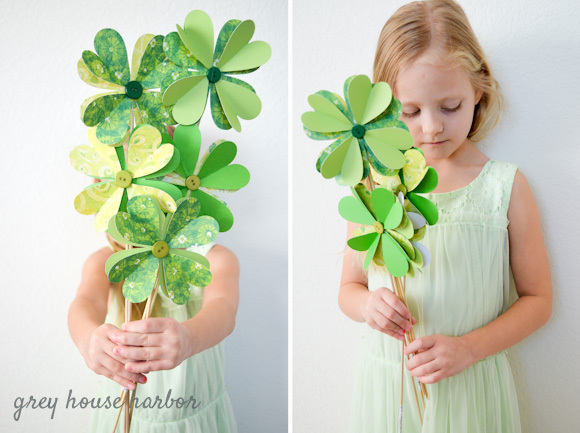 Attach small wood dowels to the back and make someone feel like the luckiest to receive a clover bouquet. 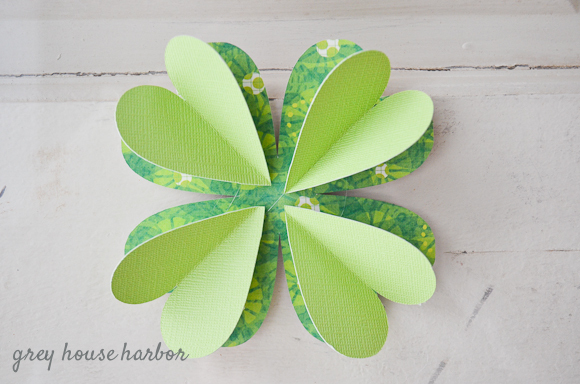 Click the image below to print a template for tracing your own lucky clovers.